Chefs and restaurateurs doing this kind of thing is not at all a new phenomenon. Food has always represented a platform, a vehicle for change, as much as a necessity and nourishment. To anyone who finds it unpleasant or out of place whenever a chef, a restaurant or its ownership declares their convictions to the world—from Chef José Andrés helping feed Puerto Ricans after Hurricane Maria to restaurants raising money for the ACLU and other causes—Julia Turshen’s new book Feed the Resistance has something to say about that. Political activism, she writes, is like any other human endeavor. Food sustains it—or, at least, the people behind it. But it’s also more than that. You look closely enough at a food enterprise—a food truck, coffeehouse, a farm, anything—and you see something of the larger world reflected back at you. "Being interested in food, really caring about it, has a domino effect," Turshen writes. "You start caring about where it comes from, what it means to the people you are feeding, and what it means to be fed." The subtext, of course, is that your ambivalence and neutrality are diminished when you start to care more about what you eat and the people who make it. Which is why it’s such a short leap from there to activism. To using the platform of something like a food business to raise money for a cause; to rally political support; or even just to say something to anyone who’ll listen. That’s really all that The Pullman, for example, was trying to do when the neighborhood dining spot in Glenwood Springs, Colo., added a message to customer receipts—a reminder to diners that your food was prepared by immigrants. Chefs and restaurateurs doing this kind of thing, to be sure, is not at all a new phenomenon. 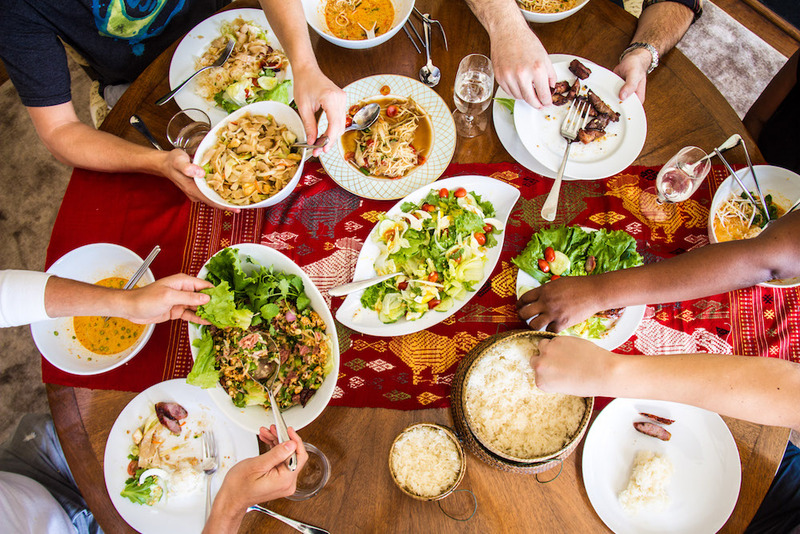 Food has always represented a platform, a vehicle for change, as much as a necessity and nourishment. But there may be a particularly fresh urgency now to taking a stand. Especially with so much of consequence that’s manifested itself on the local and national stage, when politics becomes a sideshow, when people and communities feel threatened—why shouldn’t the people who put on aprons and keep the kitchens in America’s restaurants humming, why shouldn’t they get to have a say in what everyone can see happening anyway? It’s why Erickson decided to close her Bar Melusine in Seattle on Inauguration Day this year to host a party to raise money for the Anti-Defamation League. Doing her part for The Resistance. “When it comes to something that impacts my employees or even just is flat out wrong … it’s sort of like with Kaepernick,” says Erickson, whose company Sea Creatures is the umbrella for four restaurants, a donut shop and a bar. “People want him to perform, but they don’t want him to have an opinion. The tide is shifting, but it’s still a current that chefs and businesspeople have to swim upstream against. And it’s not even just because of the people who don’t agree with them. There’s also that retort of, wait—who do you think you are, to specialize in food and yet wade into this arena? When Mike Sherwood, the owner of Pizza Nea in Minneapolis, shared a post on his pizzeria’s Facebook page earlier this year in support of President Obama that began “I listened as they called my President a Muslim,” let’s just say it wasn’t received with nods of agreement by everyone who read it. He heard from customers who swore they’d been coming into his establishment for years and would never be back over this. His response? Come in, and let me at least buy you dinner—but do one thing in return for me. Bring me a list of all the companies you shop with and what causes they give money to. After the Orlando mass shooting at the Pulse nightclub, Sherwood got a group together to raise $10,000 that was then sent on to entities like the Orlando victims fund and Everytown for Gun Safety. Starting locally. When attorneys scrambled to airports earlier this year to help travelers caught up in the immigration ban, Chicago’s Metropolis Coffee Co. was among a few restaurants and vendors sending food and drinks to the legal volunteers at O’Hare International Airport. Metropolis co-owner and co-founder Tony Dreyfuss said it was because of his abiding philosophy that “no human being is illegal,” and that discrimination over gender, sexual preference, race, it’s all the same to him—and moreover, doing something about it is a perfectly natural thing for a coffee entrepreneur to do. Something about, to borrow a line from the poet, every man being a piece of the continent, a part of the main. And if you really believe that, you do something about it. From your little corner, wherever it is. Jessamyn Rodriguez’s corner is Hot Bread Kitchen, her social enterprise based in East Harlem. She started it in 2008, and the operation has really two key programs: Bakers in Training, which helps low-income women, many of them immigrants, get training and skills to become successful bakers; the other is HBK Incubates, a culinary incubator for food entrepreneurs, with the core support being that participants get access to a licensed commercial kitchen space, among other benefits. The female bakers in training not only work in the kitchen but take classes covering things like management and the science of baking. After they “graduate,” Hot Bread Kitchen helps move them into restaurants and bakeries. And then there are food entrepreneurs Noobstaa Philip Vang, who founded his online restaurant Foodhini in Washington D.C. in October 2016. 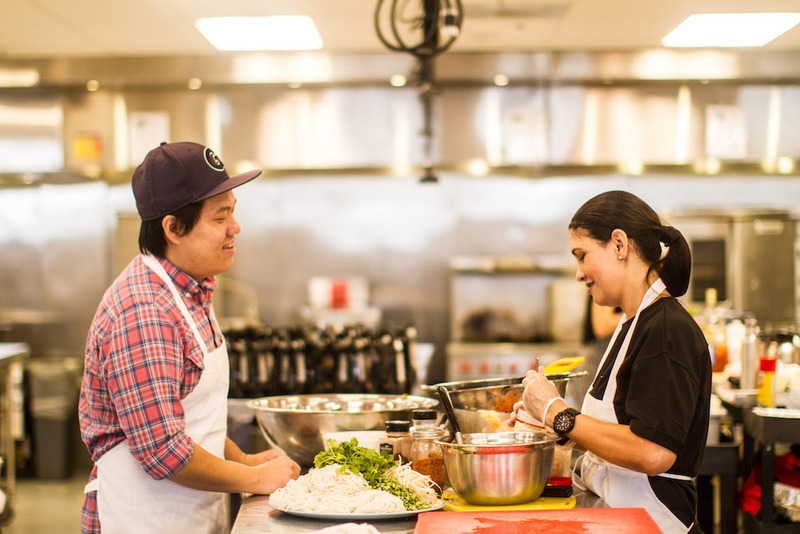 The enterprise works with a handful of immigrant and refugee chefs from places like Syria, Iran and the Philippines, with the chefs preparing dishes in Foodhini’s commercial kitchen in D.C. The operation provides an infrastructure the chefs can use to get their creations displayed online and in a format where customers can click to buy and have them delivered. One of the ways Foodhini hooks the interest of diners is in the personal letters the chefs write that accompany the meals. Letters that introduce the chefs, thanking customers for the order, telling them a little about the food—about what it means, how to prepare it and enjoy it. It’s in that moment that connections emerge, and maybe a better community, a better world.